Former International Space Station commander and space shuttle astronaut Mike Fincke is part of the team working toward launching people again from American launch pads along Florida’s Space Coast on research missions to the station. The orbiting laboratory is a one-of-a-kind scientific platform built for microgravity research relating to fields of biology, technology and materials science. One more person on the station will allow the orbiting team to double the amount of crew time dedicated to research there to 80 hours a week. By carrying a fourth astronaut, for a total of seven crew members, NASA will be able to utilize the station to its fullest potential. 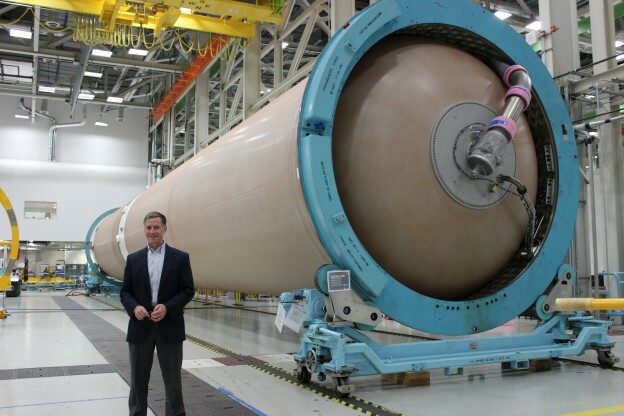 By working with the commercial aerospace industry, NASA is able to focus on sending astronauts deeper into space than ever before with the Orion Spacecraft and Space Launch System. How cool is that? SpaceX ignited two of its SuperDraco engines together at the company’s Rocket Development Facility in McGregor, Texas, during a recent test of the reusable system. This specific test was a demonstration of a pad abort test profile, with two SuperDraco engines igniting simultaneously and throttling as they will during an upcoming flight test at Cape Canaveral Air Force Station in Florida. The SuperDraco engine is vital to the safety of the company’s Crew Dragon spacecraft under development to carry crew to the International Space Station. Four SuperDraco pods, with two engines in each for a total of eight engines, are to be arranged on the sides of a Crew Dragon capsule. During launch and ascent into space, the eight rocket engines would be called on to push the spacecraft and crew out of danger in case of an abort. The pad abort test will be performed under the company’s Commercial Crew Integrated Capability (CCiCap) agreement with NASA. SpaceX can use the data gathered during the development flight as it continues on the path to certification. 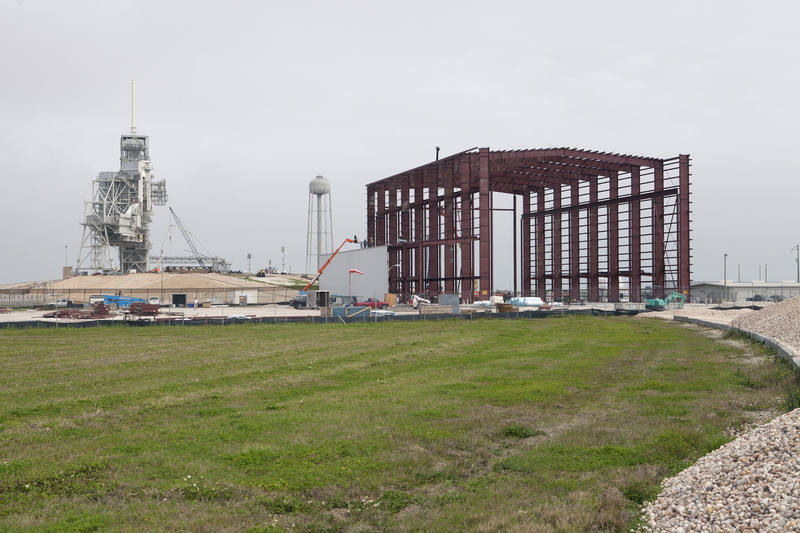 Under a separate Commercial Crew Transportation Capability (CCtCap) contract, SpaceX is working with NASA’s Commercial Crew Program to certify the Crew Dragon, Falcon 9 rocket, ground and mission operations systems to fly crews to and from the space station. NASA’s Commercial Crew Program continues to work closely with American aerospace companies as they develop new human transportation systems for low-Earth orbit. Recently, the program added another milestone to its Commercial Crew Integrated Capability (CCiCap) Space Act Agreement with Sierra Nevada Corporation (SNC). The company’s Design Analysis Cycle-6 Closeout Review will demonstrate the advancement of the Dream Chaser Space System from a Preliminary Design Review level of maturity toward a Critical Design Review level. While the new milestone is unfunded, NASA and SNC continue to benefit from each other’s technical expertise. The amendment also extends the partnership through March 2016. SNC is continuing to develop its Dream Chaser spacecraft, United Launch Alliance Atlas V rocket and associated ground and mission support systems. 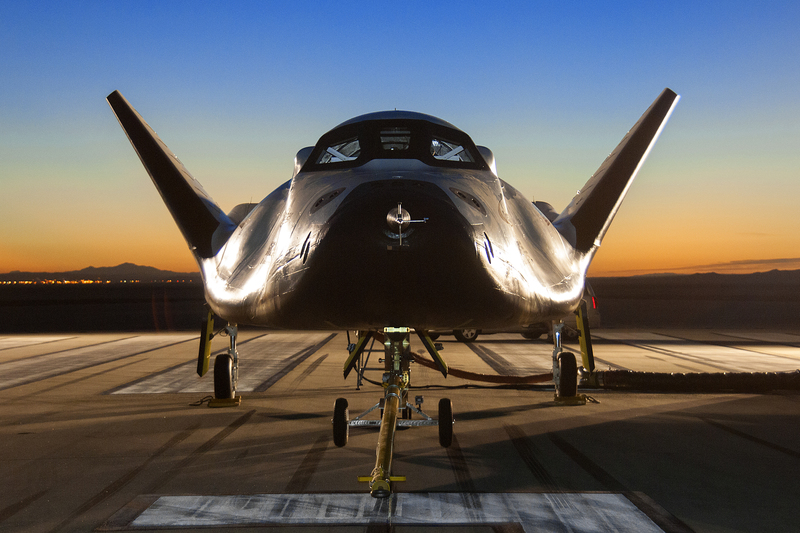 The company also is preparing for another CCiCap milestone – the second free-flight test of the Dream Chaser at NASA’s Armstrong Flight Research Center in Edwards, California, targeted for later this year. 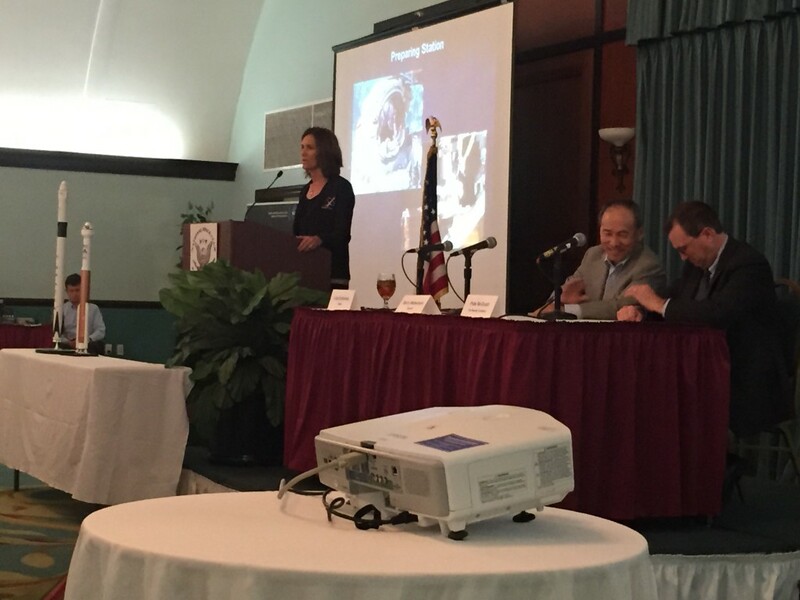 Lisa Colloredo speaks at National Space Club luncheon with Commercial Crew providers Boeing and SpaceX. The International Space Station passes around the world once about every 90 minutes giving astronauts and cosmonauts spectacular views like this one that shows a pass over America with the familiar Florida peninsula in the frame. Florida will be the launch site for the next generation of American-built spacecraft carrying astronauts to the station. They won’t be going just for the chance to look on the world below, though. Like the current crew, station residents spend their day on station work and research. The new spacecraft from Boeing and SpaceX will increase the research performed on the station by adding a seventh crewmember. With seven people aboard, the research work will double from the current 40 hours a week to 80. NASA released redacted versions of the contracts the agency signed with Boeing and SpaceX in September 2014 to begin the Commercial Crew Transportation Capability phase of final development and certification work. The contracts outline goals and obligations that both NASA and the providers agreed to, however, the focus of the agency’s involvement is not just in milestones but in the day-to-day work the NASA team is performing. 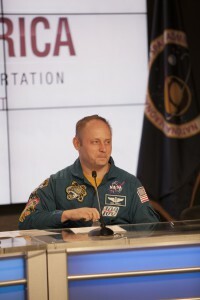 The agency’s efforts revolve around understanding the providers’ designs and ensuring progress is being made toward meeting safety and performance requirements before crew flight tests and missions to the International Space Station.